While other major artists trudge painfully through a handful of over promoted releases each decade; this drummer/actor/singer/producer has been constantly active in all manner of contradictory and unlikely projects. His history with Genesis is well documented from their art-house beginnings to multi-platinum status as the band grew up, lost Steve Hackett and then Peter Gabriel and ended up making videos with tongues firmly in their cheeks. Collins launched his solo career twenty nine years ago with “Face Value” (‘81), followed by “Hello, I Must Be Going” (’82), “No Jacket Required” (’85), “…But Seriously” (’89), “Both Sides” (’93), “Dance Into The Light” (’96) and “Testify” (‘02) picking up numerous awards including 7 Grammy’s, 2 Oscar nominations and a Golden Globe for “Two Hearts”. After leaving Genesis in 1996 he released a “Hits” album in 1998. 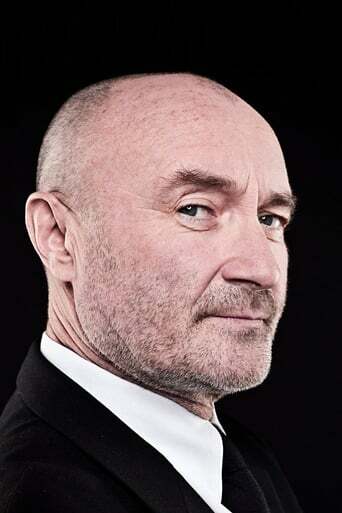 Between Phil’s solo and Genesis recordings and excluding his other activities, Phil has sold over 200 million records. His acting CV reveals that he first trod the boards at 14 when he took the role of the Artful Dodger in a West End production of “Oliver”. He also made childhood cameos in the Beatles “A Hard Days Night” (‘64) and “Chitty Chitty Bang Bang” (’69). Since then he’s starred with Julie Walters in “Buster” (’88), took the lead role as the arch-villain in “Frauds” (’92), made a brief appearance in Spielberg’s “Hook” (’92) and played the Greek owner of a chain of gay bath houses in “And The Band Played On” (’92). In addition to this Phil “The Spiv” turned up in a 1985 episode of Miami Vice and four years later he took the part of Uncle Ernie in The Who’s rock opera “Tommy”. He has written songs for the Disney Feature’s “Tarzan” and “Brother Bear”. “You’ll Be In My Heart” from “Tarzan” won a Golden Globe Award for “Best Song Written For A Film”. This song, in addition to the soundtrack was also nominated in the Grammys and won for “Best Original Song In A Movie”. Phil also won an Oscar for the same song in March 2000.